Completion: It is scheduled to be completed in the autumn of 2018. This comment was given to Ms. Kayoko Hosokawa, an executive producer of this documentary, from a pastor about 30 years ago. Our film production activities began in 1998. We had a desire to help general populations develop better understandings of people with intellectual disabilities and discover a society where all people live together harmoniously. The “able” Movie Production Committee (AKA “able” Film Committee) was established by volunteers and has produced and released five works to the world with the support of donations from many corporations and the general public. The first movie, “able,” is a story about two boys from Japan with intellectual impairments who did a homestay with an American family and discovered the possibilities of their own abilities at school and in the general society. Our second work, “Host Town,” is the story about the people of the host town—New Bridge, Ireland—who welcomed and supported the Japanese team who participated in the Special Olympics Summer World Cup, which was held in their hometown. Our third work, “Believe,” is a documentary about nine young people living with intellectual disabilities. They formed an amateur production crew called the “Believe Crew” and filmed the first Special Olympics Winter World Convention ever, which was held in the Nagano prefecture of Japan. The documentary introduces their activities as a film crew and the growing process of their own abilities and self-esteem development. Our fourth work, “INCLUSION,” is a documentary about young people with intellectual impairment who currently live with the support of a social welfare corporation in the Nagasaki prefecture. 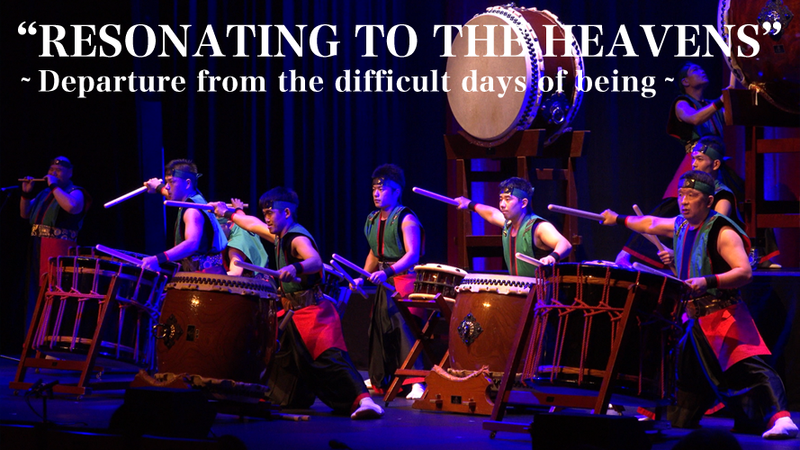 The documentary introduces the process of how they started playing Taiko, or Japanese drums, during their first stage of rehabilitation and, over time, improved their skills and began earning a living. 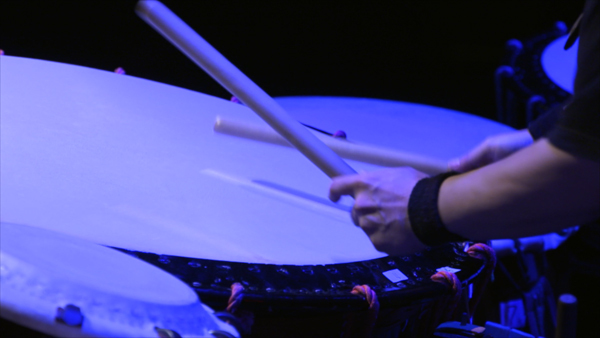 The film includes their activities as professional Taiko players as well as insights into their day-to-day lives. All of our works were released as roadshow movies at commercial theaters in Tokyo for few weeks, and then released in theaters nationwide thereafter. They were also screened at many film festivals around the world, appointed as a cultural asset by the Ministry of Education of Japan, and deemed a cultural property by the Ministry of Health, Labor, and Welfare of Japan. Further, they have still been screening in many public halls and schools in various places in Japan. Our fifth film, “Strains of Odyssey,” was a collaboration between our production crew and the Believe Crew. It documents the experiences of Mr. Kenichiro Kobayashi, a successful symphony conductor in Japan and Europe, as he prepares his 70-year anniversary concert with an orchestra that includes 31 players with different types of intellectual disabilities. In March 2011, right after the concert was held, the great earthquake hit Japan, and our movie, unfortunately, had to introduce the disaster of Mr. Kobayashi’s home town as well. Our latest work,“Resonating to the Heavens ~ Departure from the difficult days of being,”aims to provide viewers with great hope for our future by presenting heartwarming stories of wonderful people with intellectual disabilities, including various artists and a woman striving to realize her dreams. In a sense, I think that this latest film is a culmination of all our works. The film is about members of Zuiho Taiko, seven years after they performed Japanese drumming in our fourth film,“ INCLUSION.”T he documentary chronicles the fulfilling lives of 12 Taiko members—including one newly-joined member—as they navigate artistic success, participate in a variety of activities in different places, and perform in support of rehabilitation programs in local schools and special facilities. Captured in the film is the overwhelming sense that people of the community where the Zuiho Taiko live are genuinely proud of them. 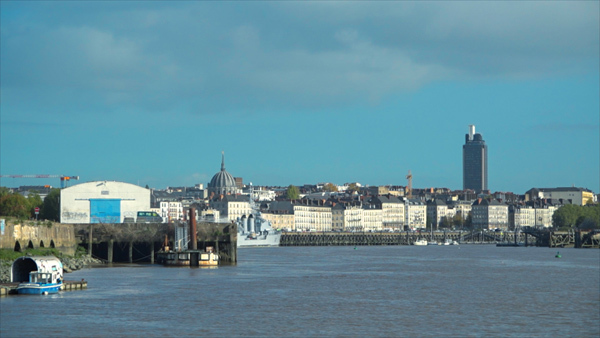 One day, the members of Zuiho Taiko received an invitation from“ Festival of Disabled People, Culture, and Arts International Festival”h eld in Nantes, France. 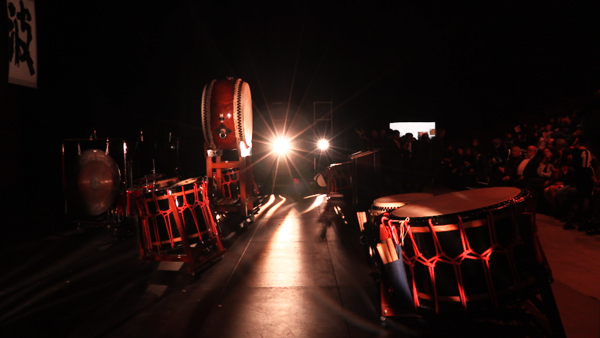 Then, last October, at the venerable hall Cité des Congrès, where the largest classical music festival in France, La Folle Journée, was born, Zuiho Taiko performed 10 minutes of new music, which they had been practicing for over a year, and they received cheers from the audience. This movie is a touching drama as Zuiho Taiko performs on the big stages of France, resonating music to the heavens. But the true purpose of the film does not end there. It is obvious that their journey to the present day was not easy. In fact, it was difficult. Although they are surrounded by supportive local people and live full lives now, until about thirty years ago, they were not welcome to live in the area. There is a history of enormous efforts to establish their current status from the days when they faced the difficulties of simply being alive. What was it like? I would like to search the answer to that question myself, and I will let this film unfold the story of how local people who used to not welcome the members changed their feelings toward them. For a long time, human society has allowed prejudice and discrimination against people with disabilities. The slaughter to the disabled, called T4 operation by German Nazis, is a symbolic event in the dark era, and even in northern Europe where the idea of normalization was born, there was a long era of isolation policy toward the disabled. After that, concentration camp-sized facilities continued existing all over the world until just ten years ago. In the last half century, world views have changed through, thanks to the wisdom and courageous behavior of many brave people. I want to continue observing contemporary society evolving to a society of “INCLUSION” and look ahead to further transitions to come. In this movie, we profile various, awe-inspiring people, including a French hip-hop group, Artypique, who strive to become professionals, like the members of Zuiho Taiko; the people of Theater RambaZamba in Berlin; and a differently-abled Swedish lady who aims to become a parliamentarian to establish the right to live independently as a mentally handicapped person. This movie is scheduled to be completed in the autumn of 2018. 2016 Ⓒ Directores System Co.,LTD.